DOS: Requires files that remain on the CD, the path which is indicated in KEEPER.CFG. 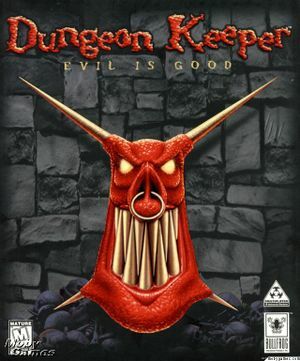 Dungeon Keeper Gold. 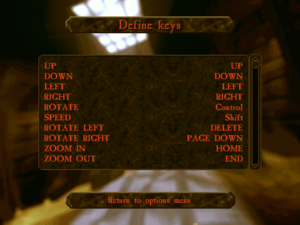 DOS version pre-packaged with DOSBox. An enhanced version of the game that comes with the base game, The Deeper Dungeons expansion, the Direct3D Patch, official level editor, and exclusive desktop theme pack. 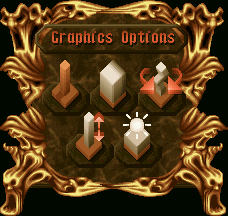 A cut down version of the pack which only includes pre-configured DOS versions of the base game and The Deeper Dungeons expansion. All other extras are not present. The Dos retail version has an update. Fixed include updating computer AI, creature balance, and creature activity algorithms. It may be downloaded from Keeper Klan. An official patch that adds 3D acceleration support to the game and its expansion. It can be downloaded from Keeper Klan. An alternate version of the patch is available if there are issues with the original patcher. 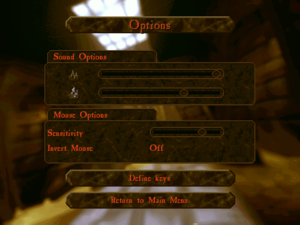 A reimplementation of Dungeon Keeper that allows for modern OS support and extended functionality over the original release. It can be downloaded from the official website as the "KeeperFX CCP" variant. Note that a full copy of the game (either retail or digital release) is required. 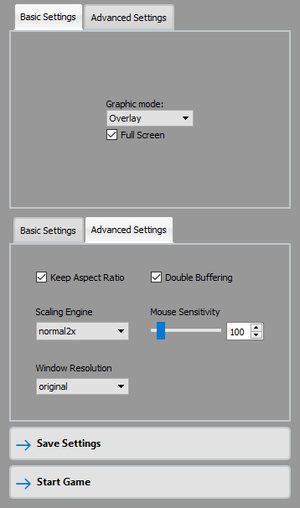 Use Alt+R to toggle High Resolution mode. The game crops the top and the bottom of the screen, resulting in a smaller view of the game world. Most in-game messages and alerts still receive a highly visible notification. Enemy banter and level select narration receives no subtitles. Download and setup dgVoodoo 2. Once the initial setup is done, go to the MS subfolder. Copy the D3DImm.dll and DDraw.dll files and paste them into <path-to-game>. Afterwards, download the Direct3D Patch (alternate download) and extract its contents to <path-to-game>. Next, open KEEPER.CFG with Notepad or other text editor. Change the value of INSTALL_PATH from C:\ to <path-to-game>. When the DOS version wants to be used again, revert INSTALL_PATH back to C:\ to avoid issues. Run either keepd3d.exe (base game) or deepd3d.exe (The Deeper Dungeons expansion). Some users reported reversed audio. The game installer is 16-bit only, making it impossible to install the game without a 3rd party solution. This page was last edited on 21 April 2019, at 22:50.